Picture above: The biogas plant at Steigen. For the first time, sewage sludge from fish farming is used to make combustible biogas. The energy is used to heat the water to the fish. The residue can be mixed in organic fertilizer. It is estimated that about 500,000 kWh per year is possible to extract from a production of nine million smolt. Cermaq uses the gas together with other energy to heat the water so that the fish grows better. 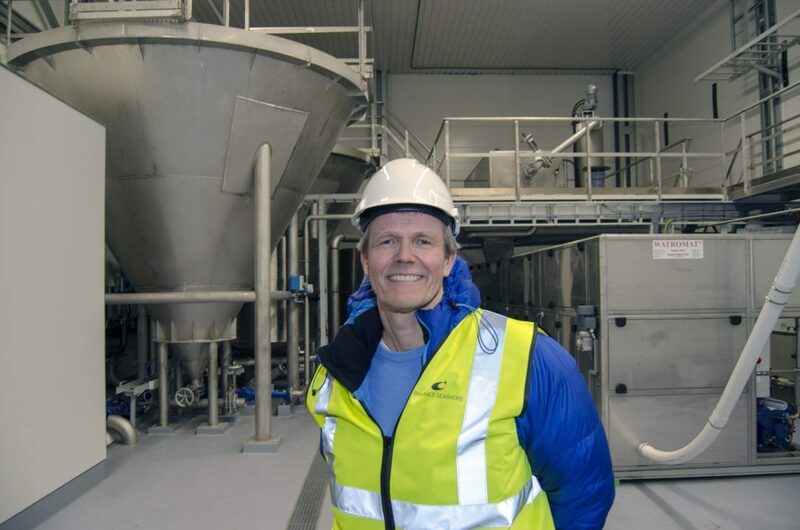 "It has taken time to build up the biocultures, but now gas is fully produced," says Robert Eliassen, head of the sludge area at Sterner. Wastewater from aquaculture is rich in energy, which is now extracted in the form of combustible gas. The biogas production follows sludge production, which in turn results from varying feed consumption during the growth phase of the fish. Cermaq's purification plant collects around 260 tonnes of sludge annually, measured as pure dry matter. The sludge is a mixture of faeces and feed spills from 1,600 tonnes of feed annually. The sludge previously represented a challenge both for storage and disposal. Sludge from fish farming differs from other sludge types at a high nitrogen content, which requires a separate bioculture. - There are many biogas plants in Norway. The unique thing about this plant is that it uses only fish sludge as raw material, says Arne Hjalmar Knap at Sterner, who has been responsible for the development of the technology. The new plant at Forsan is grafted with a bioculture that is the result of a R&D project and pilot plant at Smøla Klekkeri and Settefiskanlegg. The biocultures have subsequently been cultivated by IMET (Institute of Marine and Environmental Engineering) at the University of Maryland. Enova has supported the development of the technology and the plant at Forsan. 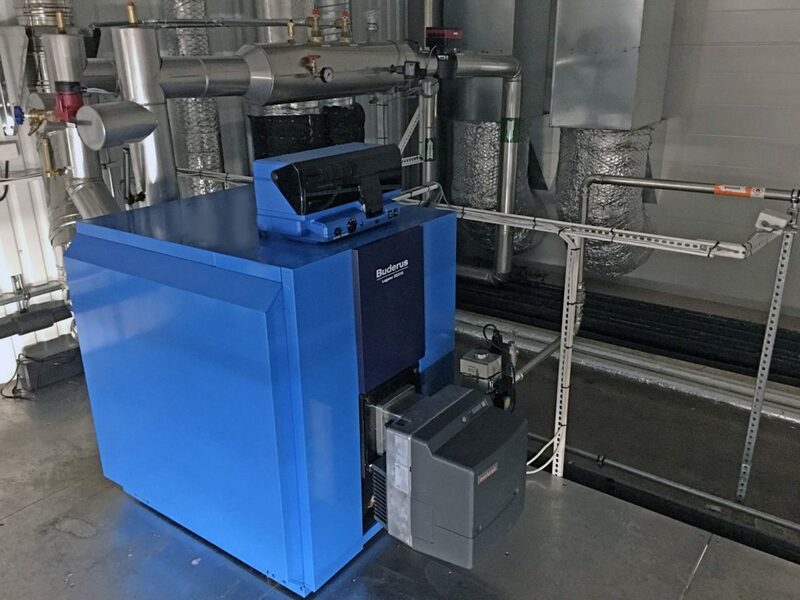 The actaal biotechnology is based on a system for biogas production called Anaerobic Baffle Reactor (ABR), and the technology is further developed by Sterner for land-based farming. - The economic benefit of this type of sludge treatment will depend on the size of the farm, and plants can be built for 5,000, 10,000 tonnes or larger amounts of feed per year, says Robert Eliassen. Economically and environmentally, the benefits of the energy in sludge being converted to methane, which can be used for the production of heat or a combination of electricity and heat. Recycling is therefore of great importance in the company's climate accounts. Another advantage is that the dry matter (TS) in the sludge is reduced by up to 70 percent, so that what needs to be transported away after sludge treatment is considerably reduced.